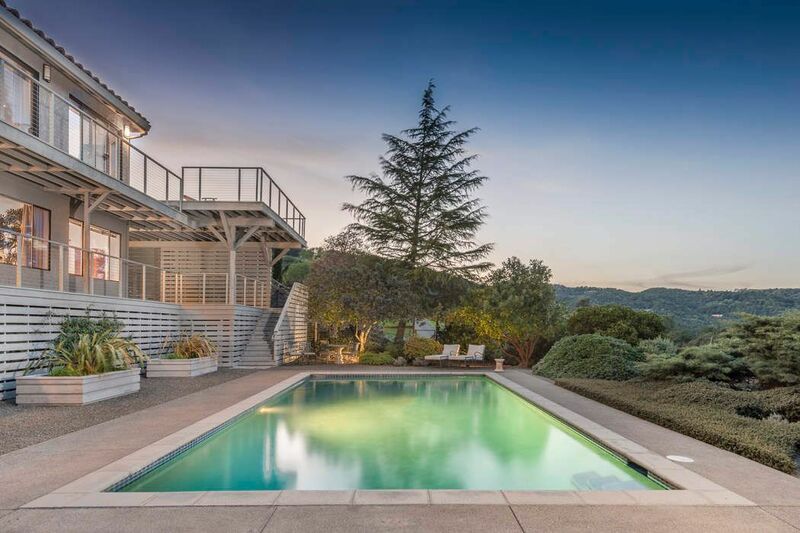 19185 Mesquite Ct , Sonoma, CA 95476 | Sotheby's International Realty, Inc.
$1,995,000 3 Bedrooms3 Full / 1 Partial Baths3,712 sq. 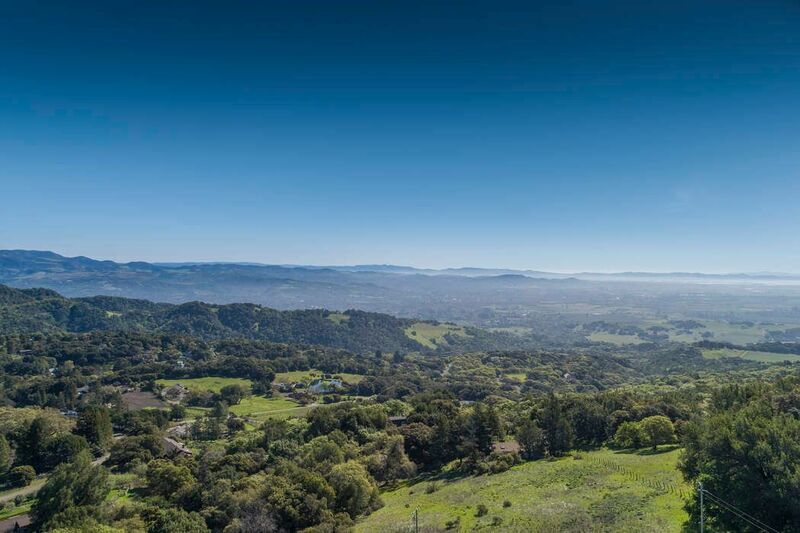 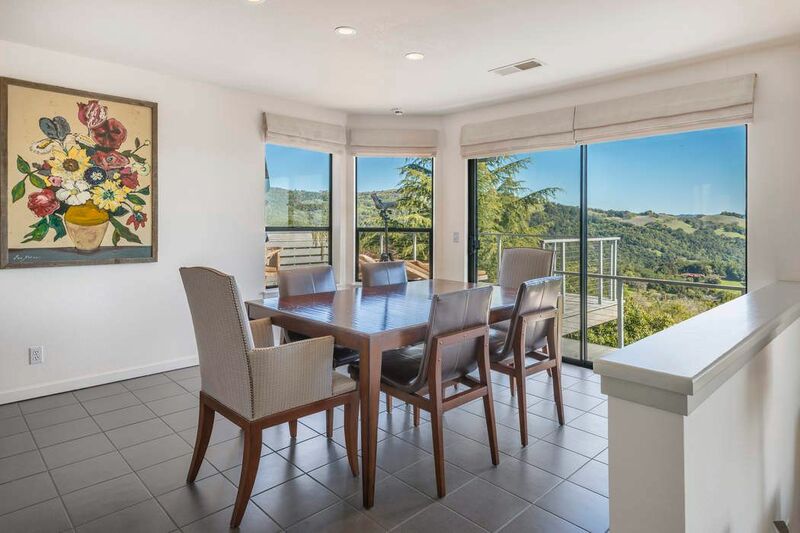 ft.
Conveniently located in the western foothills of Sonoma Valley's Diamond A Ranch, this approximately 5-acre, sun-drenched parcel feels worlds away but is just six miles from the historic Sonoma Plaza and 45 minutes to the Golden Gate Bridge. 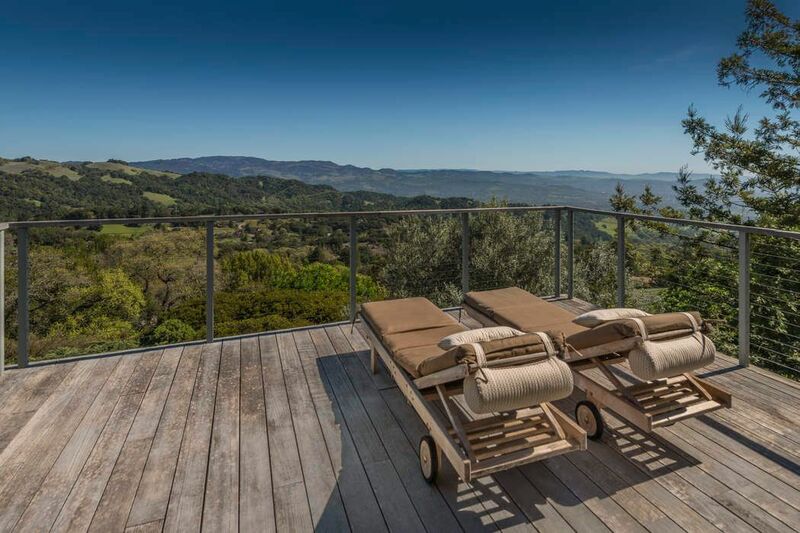 For solitude seekers, this hillside haven is the ideal combination of serenity and accessibility. 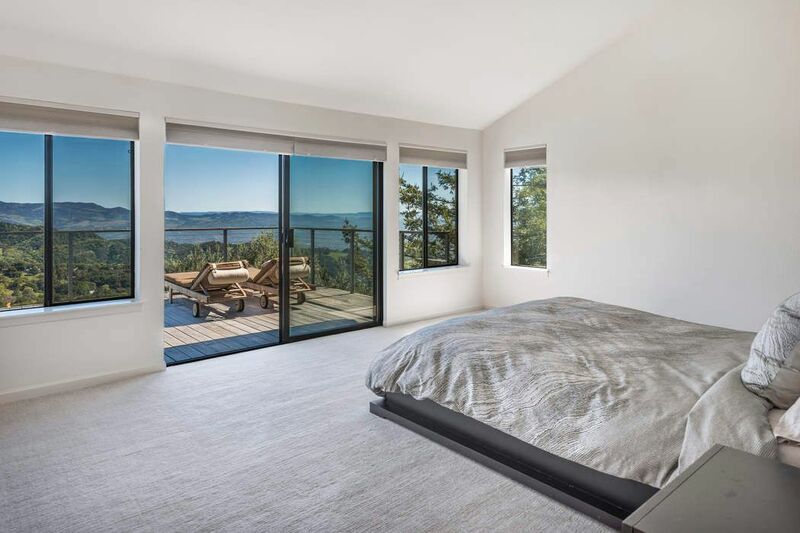 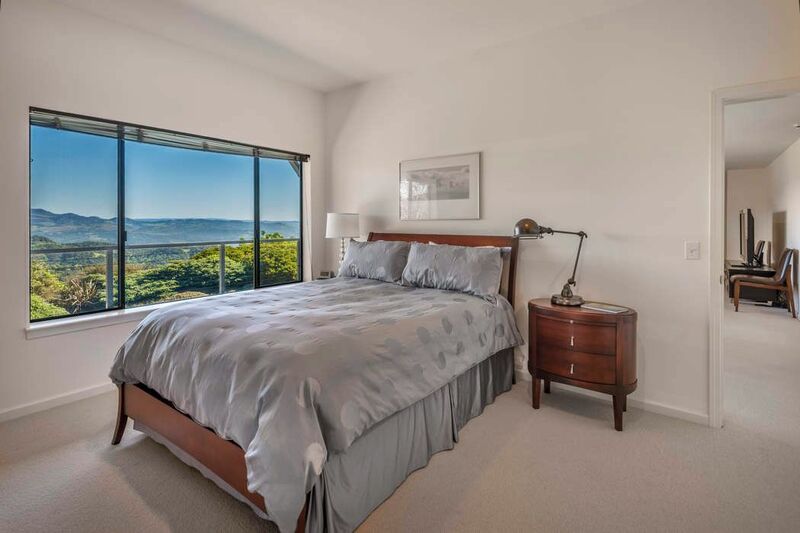 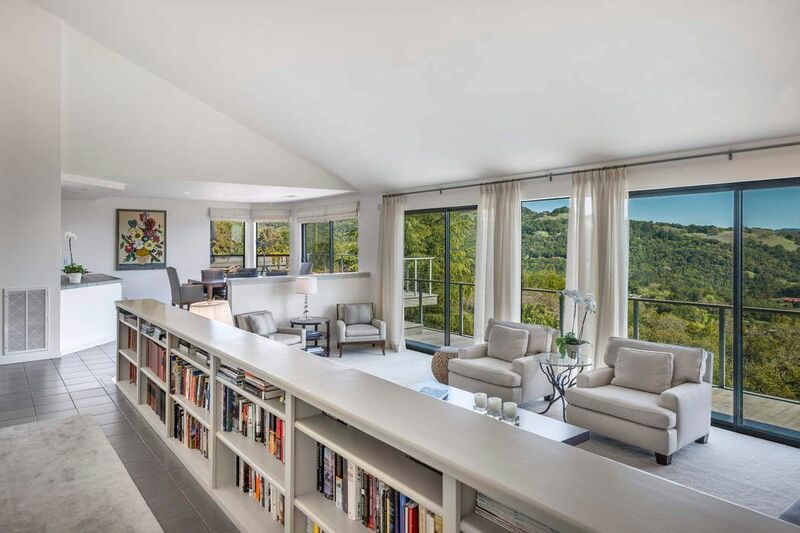 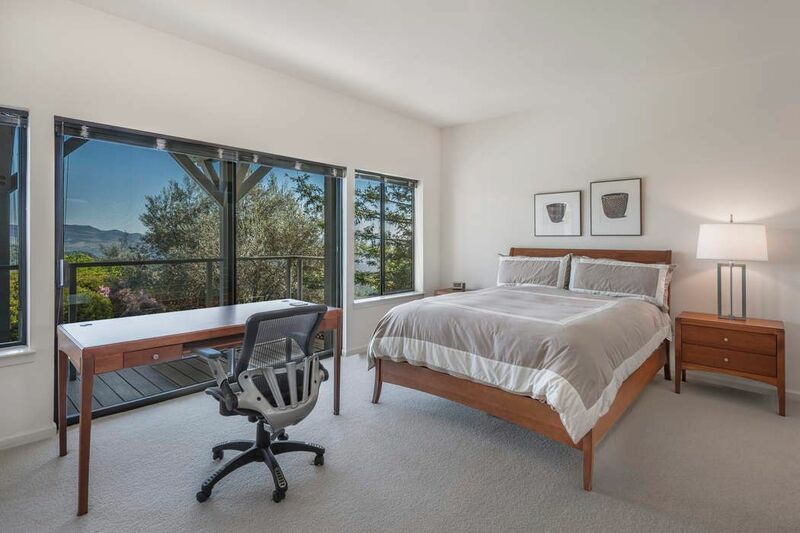 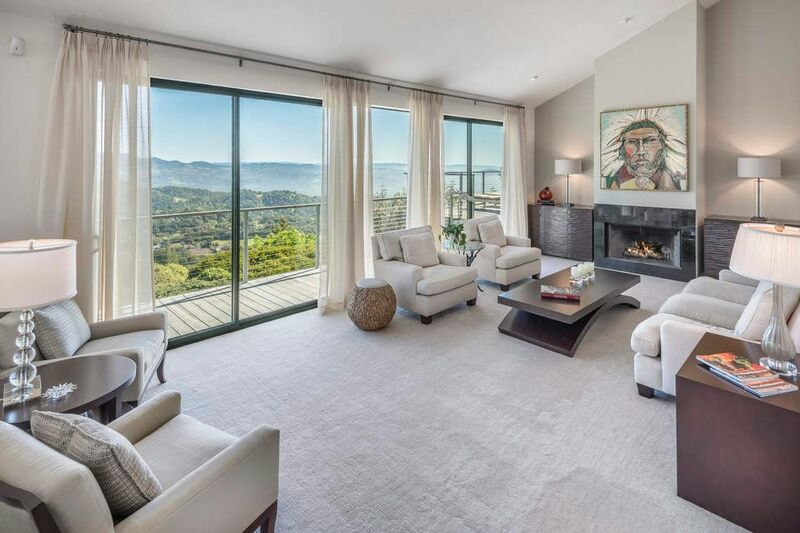 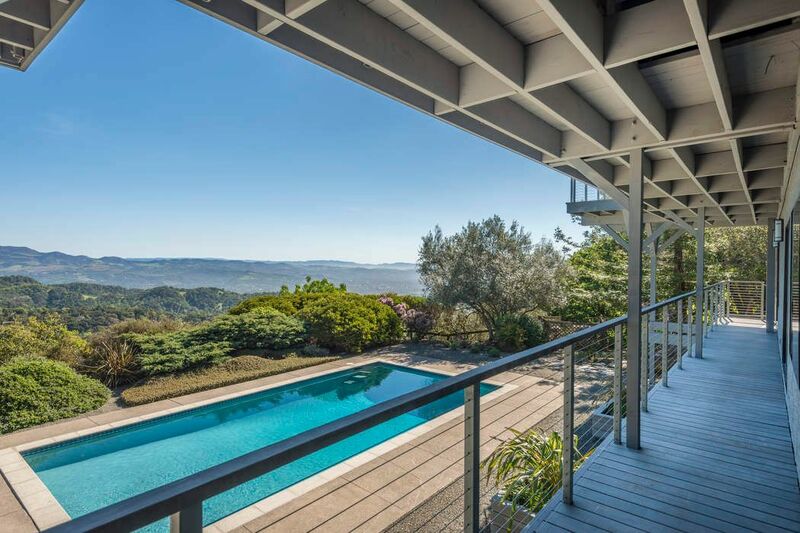 Built in 1989, the contemporary residence overlooks stunning, panoramic vistas. 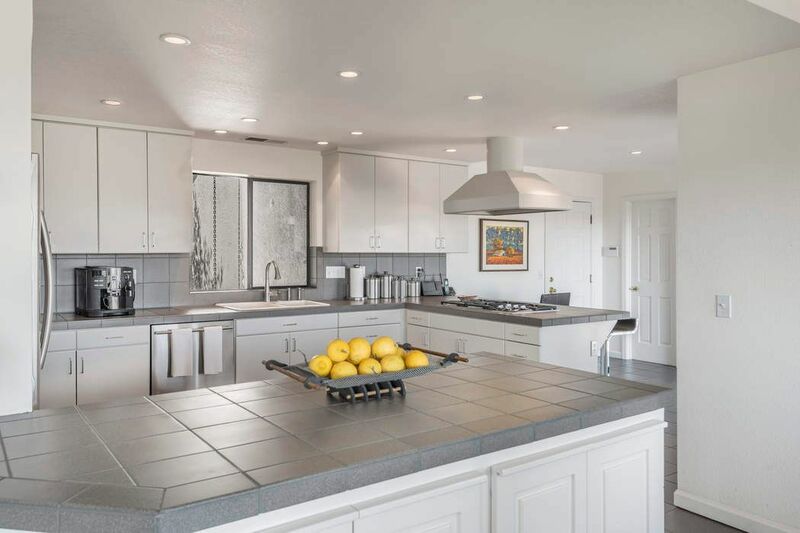 Encompassing approximately 3,712 square feet of living space on two levels, the home offers three bedrooms, three full baths and one-half bath; with the master suite located on the main level. 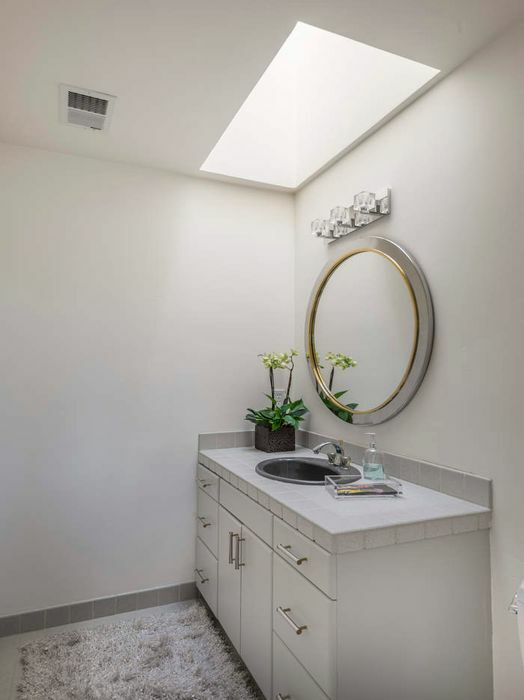 Design elements include dramatic vaulted ceilings, walls of glass and a neutral palette, creating a light-filled, warm interior. 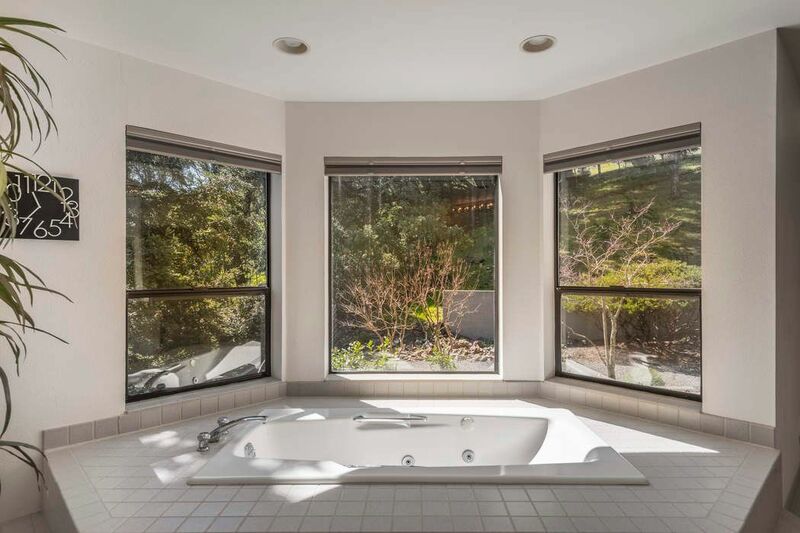 The main level encompasses a formal entry, open concept living/dining area/kitchen, breakfast area, powder room, master suite/wing with two full baths and a media room. 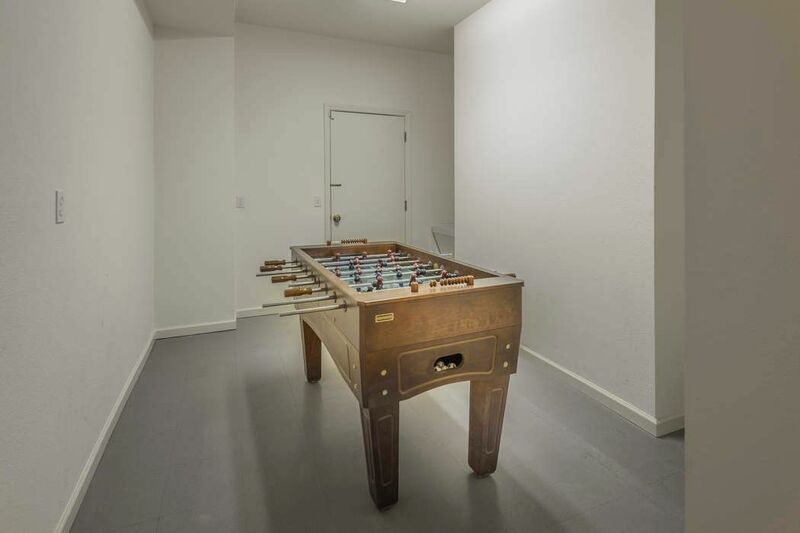 The lower level presents two bedrooms, one full bath, a game room and an additional living/family room that opens onto the pool area. 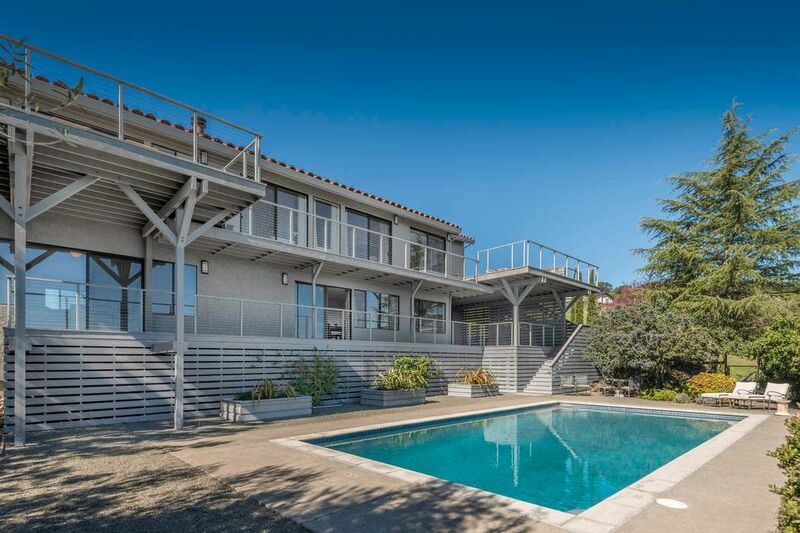 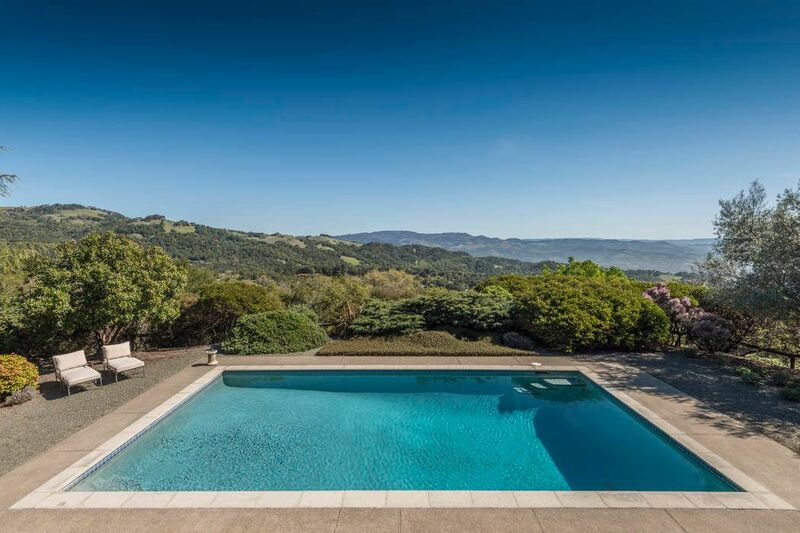 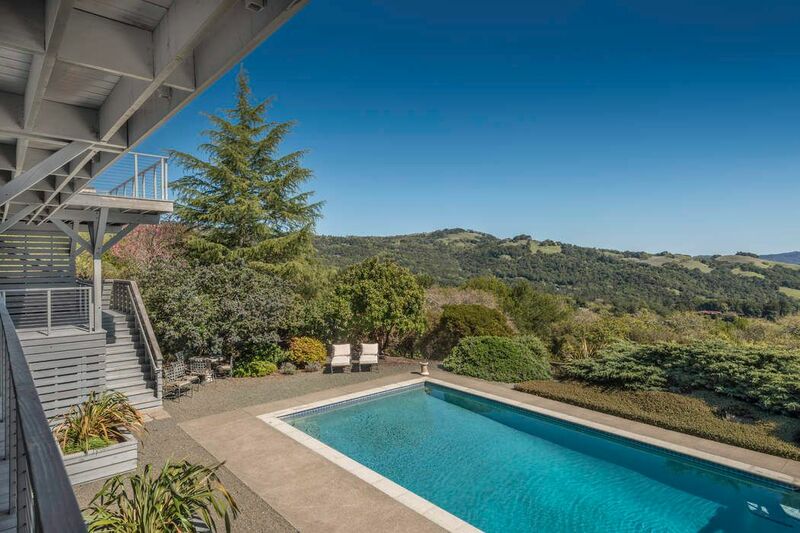 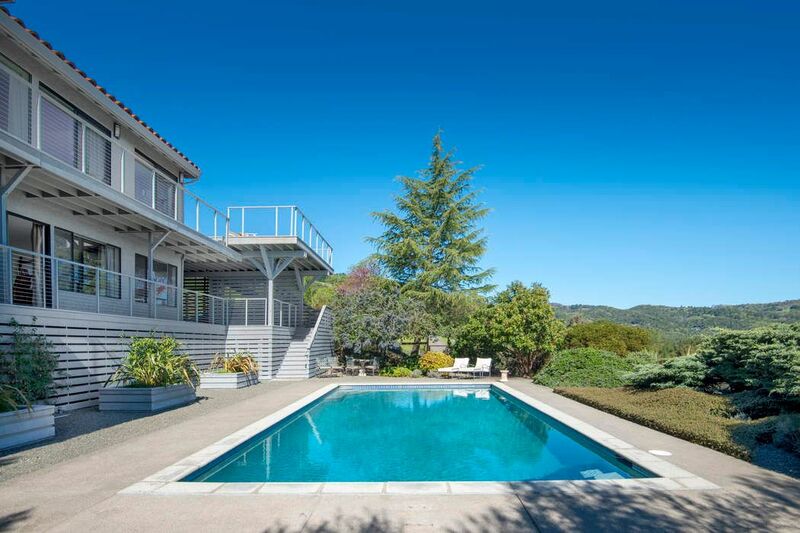 Both the main and lower levels offer multiple access points to the two decks that overlook a gorgeous pool/patio area with sweeping views of nearby vineyards and surrounding mountains and hillsides. 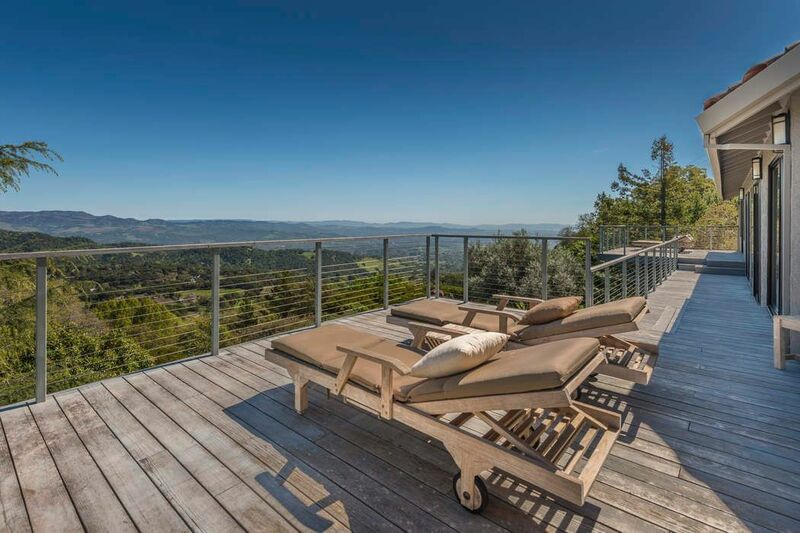 The expansive decks are perfect for lounging or al fresco dining. 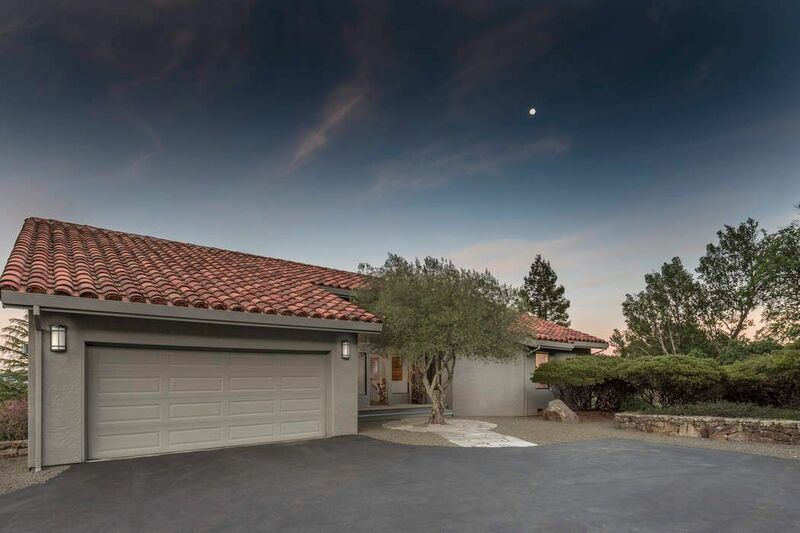 A two-car garage is accessed off the main level while a one-car garage is accessed off the lower level. 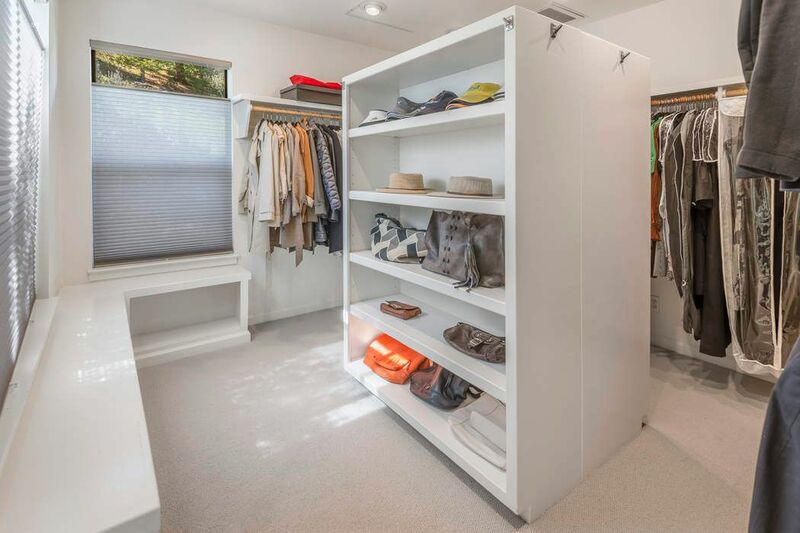 Deep closets provide an abundance of storage, as does the sizable pantry off the kitchen. 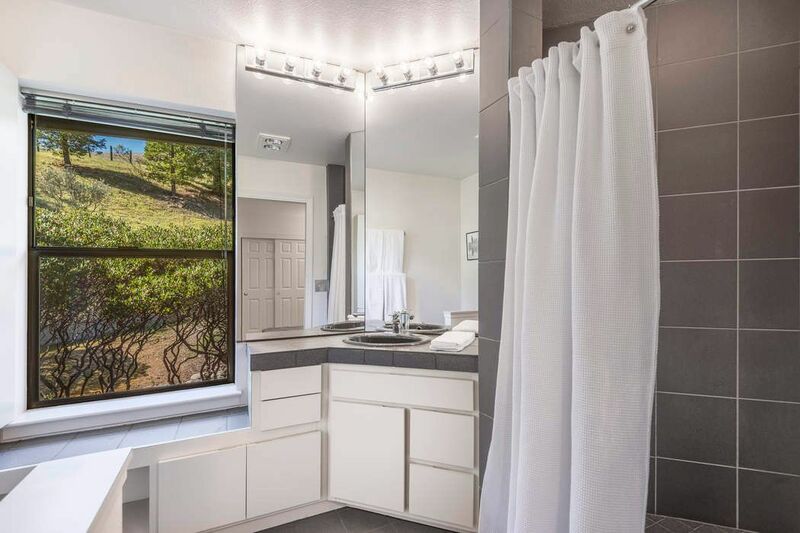 A conveniently located laundry room with utility sink offers ample, additional storage. 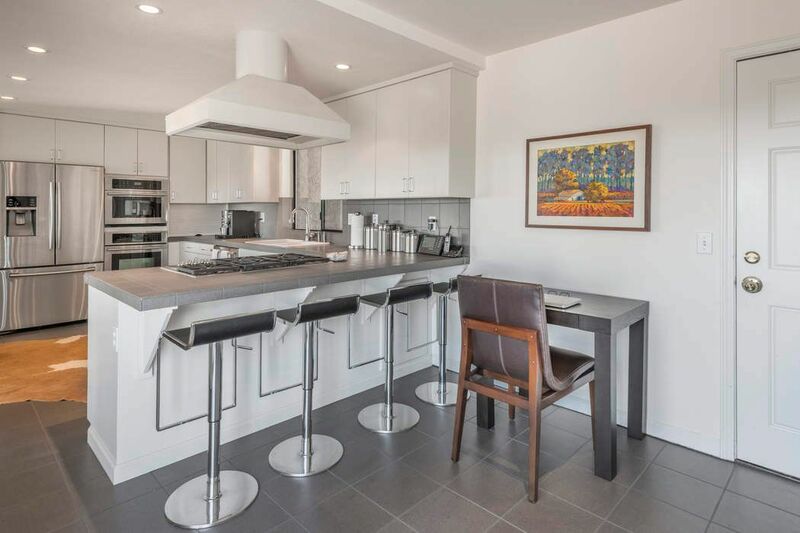 The stylish kitchen with stainless steel appliances includes a five-burner Wolf gas range with hood and bar-seating area. 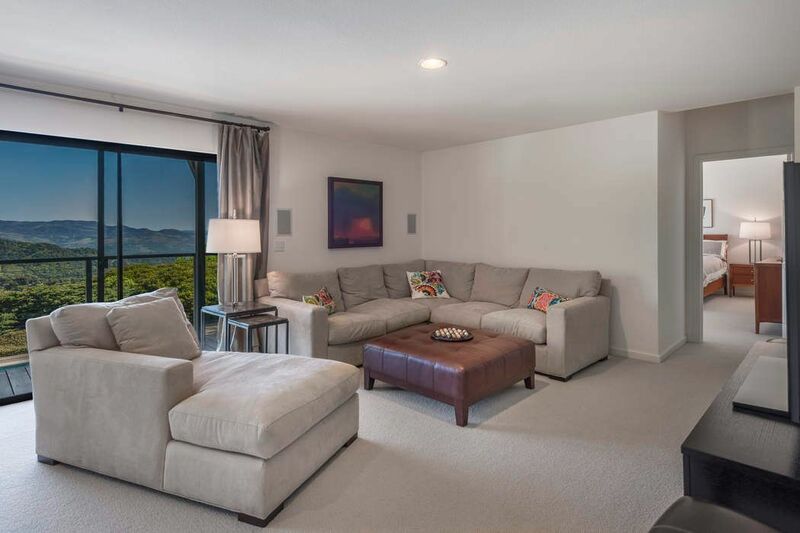 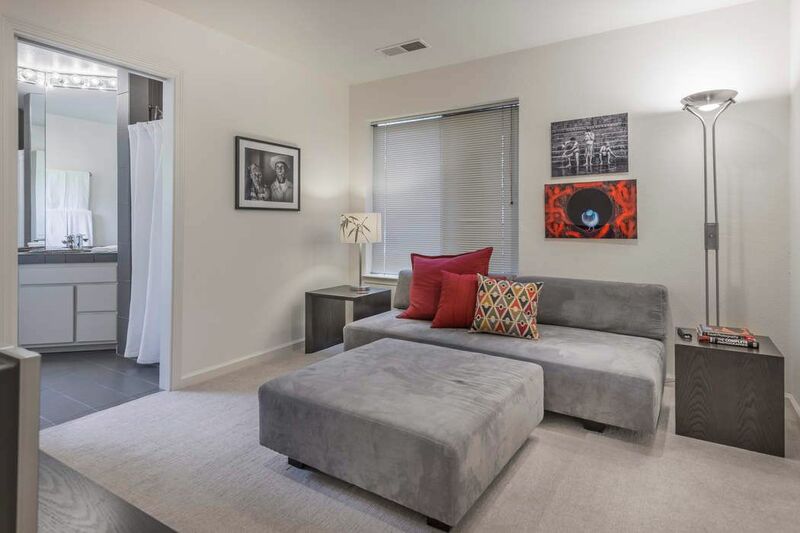 Additional notable features include built-ins, recessed lighting and a wood-burning fireplace in the living room. 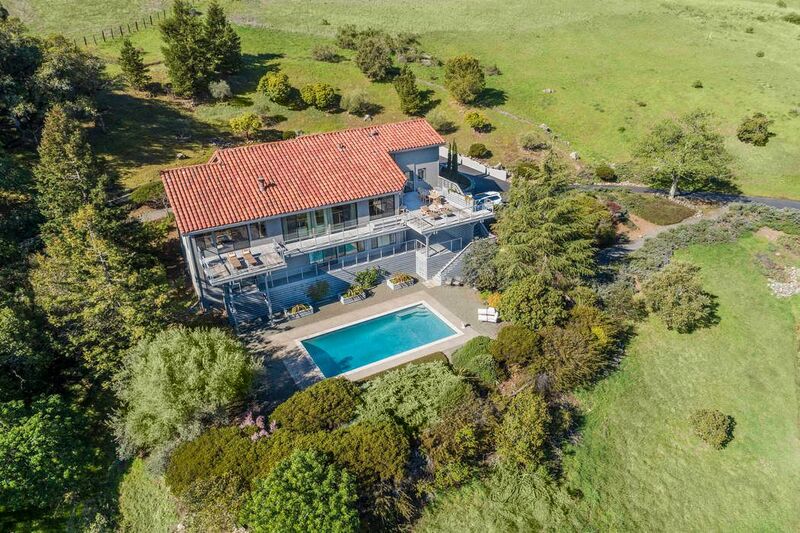 Beautiful grounds that have been well-maintained are adorned with olive trees, fruit trees and natural elements that blend seamlessly with the surrounding landscape.